How to get the application from Shopify? 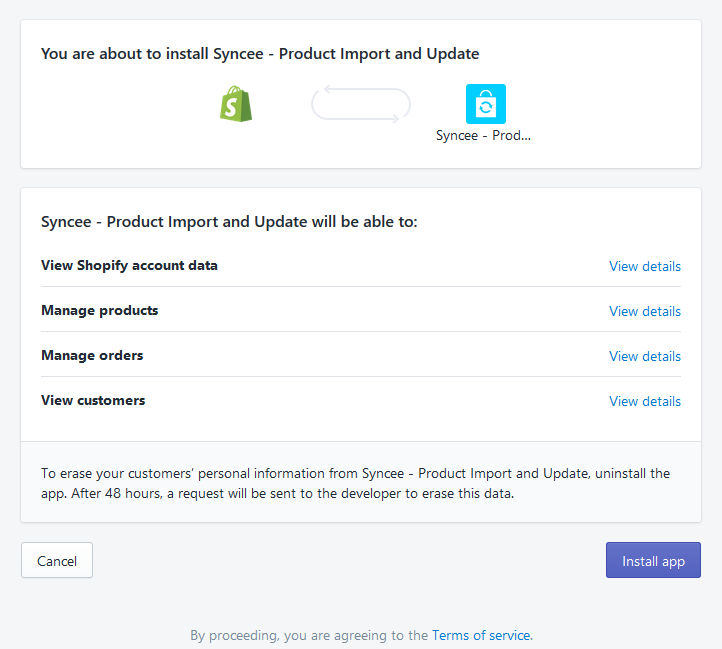 First of all, you need to go to the app store of Shopify to get a hold of Syncee. You can find the application within the "Finding and adding products" category, Finding suppliers subcategory. Simply click on the "Add app" button. 2. If you have already logged into your store, you will be immediately directed to the installation page shown on the illustration. If you were not logged into your store, please log in, in order to see the following page. 3. ...and that's it. Congratulations, you have successfully installed Syncee to your Shopify store. Please note: To login to Syncee, you don't need any password or login details. 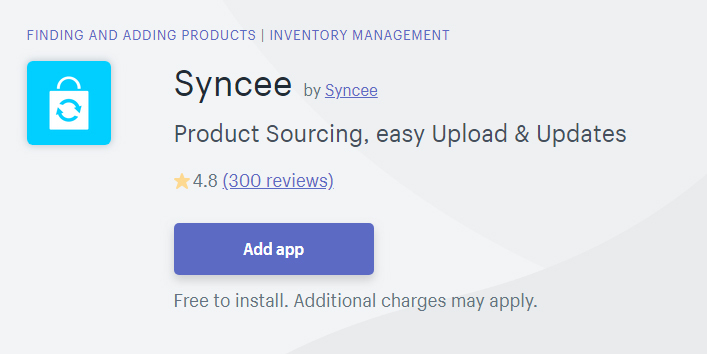 Syncee authenticates with your store email address and automatically logs into your account when you click on the app icon in your store admin page the next time.